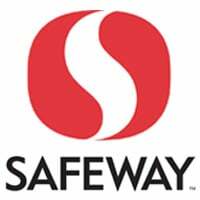 The food giant, coupon publisher and NFC specialist partnered with grocery retailer Safeway for a marketing pilot which took place at five stores during August. A pilot test of NFC and QR codes which took place at five Safeway grocery stores in California’s San Francisco Bay Area this summer has found that NFC phone users’ engagement with Kraft shelf-edge advertisements was twelve times higher than the engagement level of those who used mobile barcodes. The food giant partnered with coupon publisher News America Marketing (NAM), NFC specialist Thinaire and national supermarket chain Safeway for the project, which aimed to discover if NFC could be used to create deeper user engagement with brands. NFC tags were embedded in NAM Shelftalk promotional units carrying advertisements for Kraft cheese and Nabisco cookie brands. QR codes were also printed on the units for shoppers without an NFC phone. UPDATE The video has now been taken down by its owner as it prematurely revealed that Safeway was the retailer involved in the test. Compared to QR codes, “the overall NFC tap engagement level was 12 times higher”. Consumers’ engagement time “increased from regular 5-10 seconds at shelf to 48 seconds when NFC was involved”. More than 36% of the shoppers who tapped the NFC-enhanced Shelftalk units converted the tap into an action, such as saving a recipe, downloading the Kraft app or sharing with friends. Across all participants, “there were no gross negatives”. It wasn’t private when we posted it and, like all credible media organisations, we don’t take things out of news stories after we’ve published them (except in very specific and limited circumstances). The responsible thing to do is add a note explaining what has happened, which is what we did here. In this instance a company put information in the public domain that, it later turned out, the company was not ready to make public. By then, though, the article was already published. We’re not trying to be difficult, it’s just the way the news works.